She never thought that her life would be this complicated. Or this dangerous. Running from her past, Kat and her mom end up in a small Colorado town when Kat run’s directly into her future. She changes everything about herself to try and blend into the background, to go unnoticed. She pushes everyone away and erects walls around herself and her heart. As hard as she tries, though, Kat can’t seem to escape the pull that Cam has on her. Cam has never been so intrigued by anyone. Not only is Kat the most gorgeous girl he’s ever seen but also the most mysterious. She’s hiding something and he’s hell-bent on finding out what it is. The only problem is that she’s trying to shut him out which only furthers his determination to get close to her. When Kat learns that her past is catching up with her again she has to run, leaving Cam, and her broken heart, behind. I read this novel a few weeks back, and it’s stuck with me ever since. While I did find the insta-attraction portion of the novel just a tad cheesy in the beginning, as the novel progressed and the characters grew up, going from high school to college, I found myself rooting for the lovebirds, Cam and Kat, enjoying their antics and so happy that their attraction to one another lead to a much deeper relationship. Brownell tells their story in two parts, glossing over a few years in between in order to take her YA novel into the NA world while keeping it clean, and it works very well. This novel has many different layers; many stories to tell. It’s about a mother and daughter in witness protection. It’s about first love. About danger. Crime. Grief. Protection. The FBI. Doing what’s right. Outrunning your past, and looking to the future. And I enjoyed this aspect of the novel very much. There is so much going on and Brownell slowly peels back the layers, providing a fun, easy, engaging read, though I will admit that I have many more questions than I have answers, and I think that’s one of the reasons this novel has stuck with me long after I finished it. I find myself trying to figure it out at random times during my days, and that’s a rarity for me as I read so many books and move from one to the next quite rapidly. I am intrigued by Cam and his love for Kat. I love Kat’s tenacity and her yearning for a simple life. Together, they are perfect, insta-love aside, and I’m glad they found one another. What I don’t necessarily get is what happened during the climax of the novel–we’re led up to it, but as we’re looking through Kat’s eyes, and she’s not watching events unfold, we seem to miss everything as it unfolds, and as no one clarifies the event for Kat, we are left in the dark. All we know is that some very bad things went down, and I’m dying to know what happened to everyone. I need to know. And I also need to know how some of the people mixed up in it all got mixed up in it all. I’m not giving names nor explanations, because that’d be a spoiler, but I keep wracking my brain trying to figure it out. 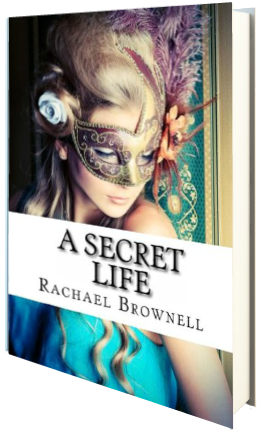 I need to know, and Brownell’s next novel in the series, Secrets and Lies, releases tomorrow… so here’s hoping for more. Four stars.